Advanced Chiropractic care includes looking at not only your spine, but at the "big picture". We look for root causes of your problem to facilitate your wellness and speed recovery. 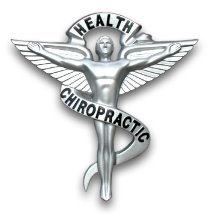 At Ashcroft Chiropractic, you will receive the highest quality adjustments and treatments. Specializing in Medical Massage, Swedish, and Pregnancy Massage. Common conditions treated are: headaches, neck and back pain,and tendinitis. Whether you need pain relief or just want to relax, schedule your appointment today. Regain strength and recuperate from an injury, balance your body, or prevent injuries with Sport Medicine. Insurance is accepted. Welcome to Ashcroft Chiropractic Center! Located in the heart of Center Rutland, the leading health professionals at Ashcroft Chiropractic Center are dedicated to helping you achieve your wellness objectives -- combining skill and expertise that spans the entire chiropractic wellness spectrum. Dr. Mark Woodbury is committed to bringing you better health and a better way of life by teaching and practicing the true principles of chiropractic wellness care. Treatment plans are carefully crafted and can include onsite rehabilitation and massage therapy. Patients seeking treatment at Ashcroft Chiropractic Center with Dr. Mark Woodbury are assured of receiving only the finest quality care; all staff is fully licensed, continually studies and applies the most advanced practices in their respective fields. Dr. Mark Woodbury and the staff have a genuine concern for your well-being! If you are new to our website, please feel free to discover and learn about chiropractic wellness, sports medicine, and massage therapy. If you are interested in starting your journey towards wellness please subscribe to our award winning newsletter. If you are already a newsletter subscriber, please explore the member wellness section of our website for wellness articles, resources, and health facts---specifically targeted by Dr. Mark Woodbury to your wellness needs and interests. Be the first to find out about specials, like us on Facebook. Click here: Ashcroft Chiropractic.